Last week Valero Logistics UK, a subsidiary of Valero Energy Corporation, and SemGroup Europe Holding, a SemGroup Corporation company, signed an agreement for the purchase of SemLogistics Milford Haven fuel storage facility. Situated across the Haven from Valero’s refinery at Pembroke, the facility is one of the UK’s largest petroleum products storage facilities with 8.5 million barrels of capacity for storing gasoline, gasoline blend stocks, naphtha, jet fuel, gas oil, diesel, and crude oil. Over 67% of the storage capacity is multi-product or dual purpose, giving Valero the flexibility to meet customers’ demands in the UK and throughout Northwest Europe. Additionally, Milford Haven will continue to operate as a third-party storage facility, offering storage options for third-party customers across the European petroleum markets. “This facility complements our Pembroke refinery and fuel terminals in the UK and Ireland, making it a natural fit for the company,” said Joe Gorder, Valero chairman, president and chief executive officer. 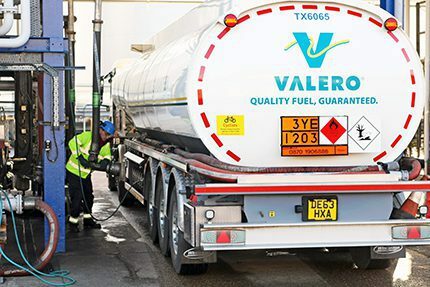 “This purchase demonstrates Valero’s commitment to Wales and the UK, and it aligns with our strategy to grow the logistics business and reduce secondary costs,” added Gorder.